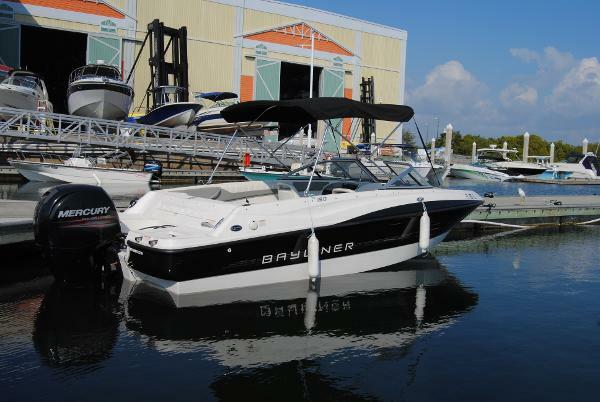 2016 Bayliner 190 Bowrider Save thousands off of new. Four stoke Mercury 150 with 20 hours on it. 2013 Bayliner 190 Bowrider 2013 Bayliner 190 Bowrider- Stored high, dry, and indoors, this bowrider is ready for it's next day on the water! Mercury 150hp four stoke with 180 hours is both fuel efficient and fast! Priced to sell as owner has moved, call now for more details! ALL COMPONENTS AND MOTOR ARE UNDER WARRANTY UNTIL 2019! 2012 Bayliner 190 Bowrider Watch our very informative 5 minute video of this boat running - in the water on a plane - in the Photo Gallery at our website! 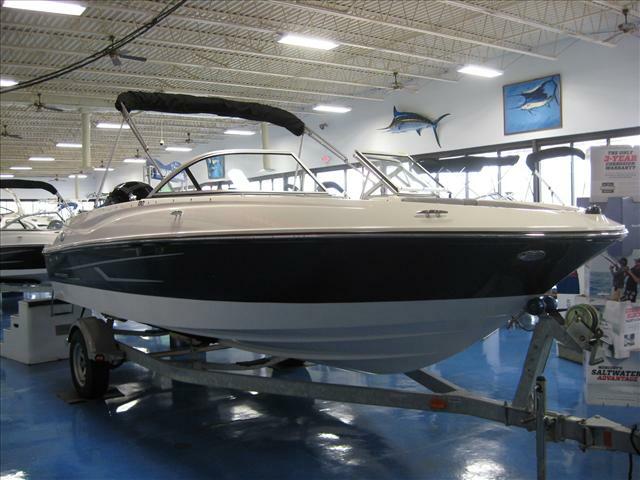 This 2012 Bayliner 190 Capri Bowrider is powered by a "like new" 150hp Mercury four stroke outboard with very low hours. 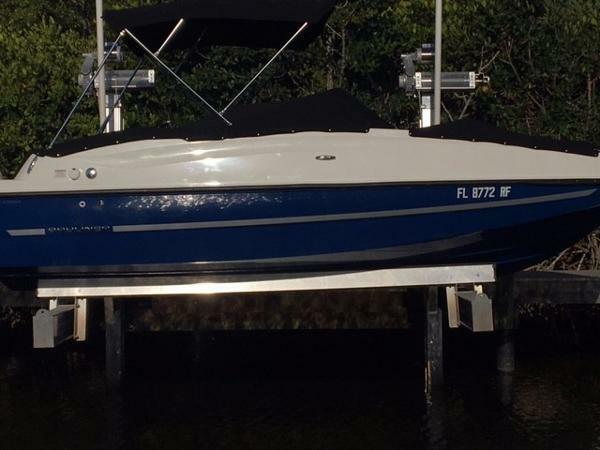 Features include: cockpit cover, bow cover, Bimini top, stereo, tilt steering wheel, hydraulic steering, dual batteries, ski locker, swim platform with steps, and also has a full winter cover. This boat is as close to new as you can get! This sale also includes a FREE single axel trailer! 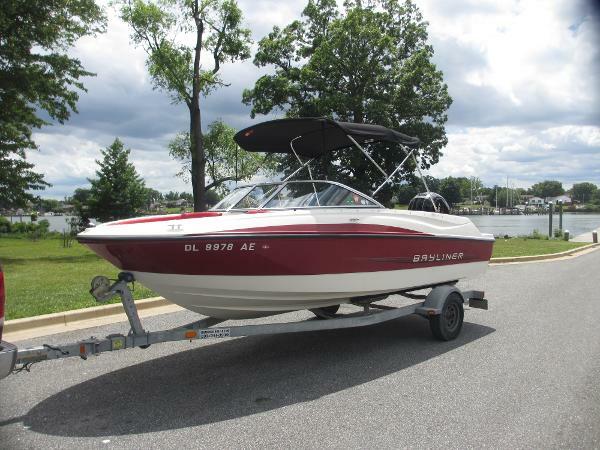 For more information on this listing call Mike Fierstein at 410/391/2333 ... ANYTIMERemember - we sell boats for less - guaranteed, and we do take trades!! Watch our video in the Photo Gallery! Attention Overseas Customers: We Provide Free Delivery To The Port Of Baltimore. To see our purchase policy, hit the FAQ tab on our Website. 2015 Bayliner 190 Bowrider, As Bayliner's largest outboard Bowrider, the 190 combines the fuel-efficiency and ease of use of an outboard with the stability, storage and spaciousness of a large, open-bow runner. The 190 Outboard comes well powered with a fuel-efficient 115 HP EFI 4 Stroke and available power options range up to a 150 HP Mercury. Choose between standard and optional Sport Seating, which features dual cockpit bucket seats. 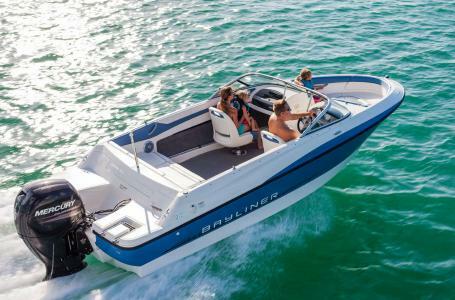 An optional Fishing Package ensures that avid anglers have all the gear they need, while the watersports-lovers out there can outfit the 190 with Bayliner's optional Flight Series Package. 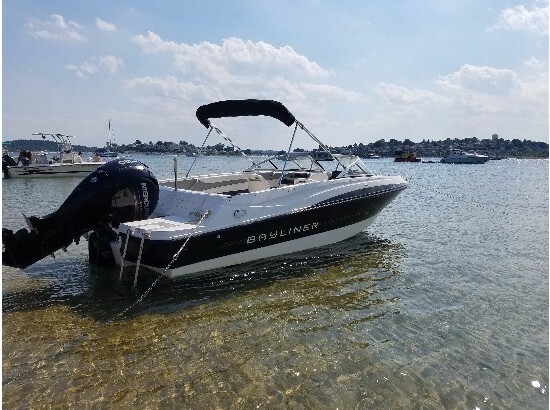 Call Lynnhaven Marine in Virginia Beach at 757-481-0700 for complete details to schedule an appointment to see the Bayliner 190 BR. An overall length that translates into an outstanding amount of onboard space.